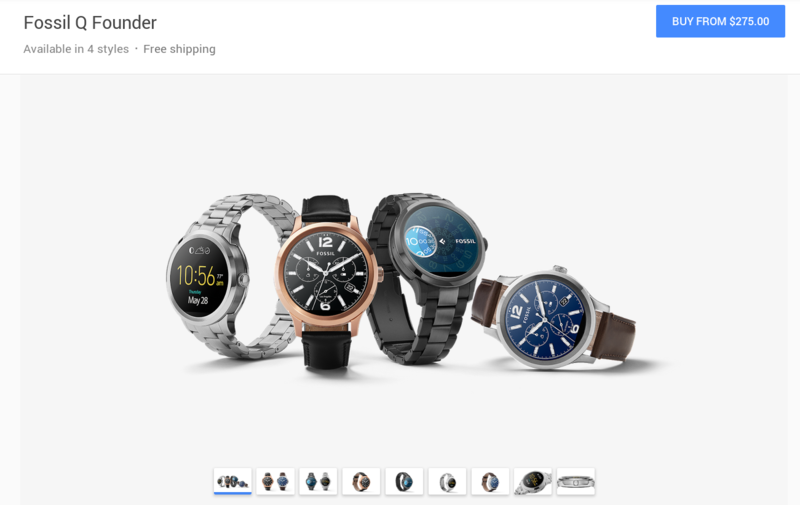 Athletic smart watch users, a new option has popped up on the Google Store. It's the new smartwatch that Casio announced back in January, along with the promise of up to a month of battery life. 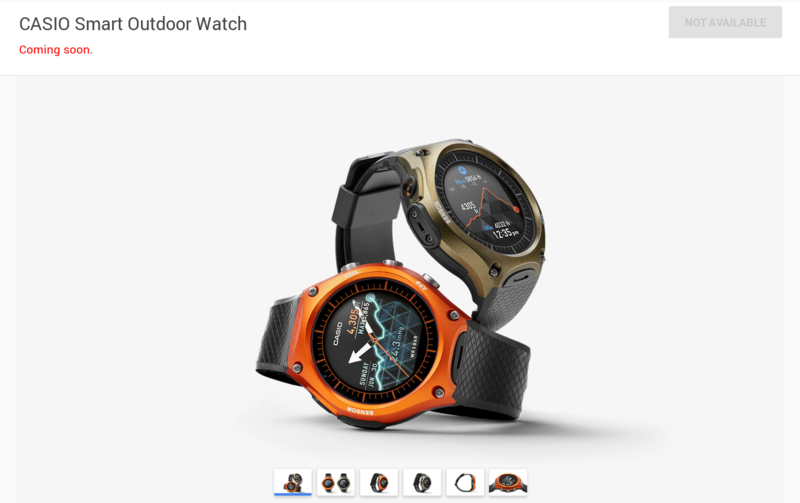 The watch is still listed as Coming Soon, but the page is there to keep an eye on. The price will be $500, and you will have your choice of black, green, orange, and red. What you can buy now are two new Fossil Q Founder styles. You can now get the device in black with rose gold (gold body with a black leather band) for $295 or two-tone (two shades of black with a metal band) for $315. These join the existing brown leather and stainless steel options priced at $275 and $295 respectively. Functionality-wise all four Fossil Q devices are the same. Which one to order is all a matter of price and preference.